Mr Bhagwat, who is on a five-day tour of Tripura since Friday to review the organisational work of the RSS in the north-eastern region, said, "We have no enmity with anyone. We want welfare of all. To unite all is the meaning of Hindutva." 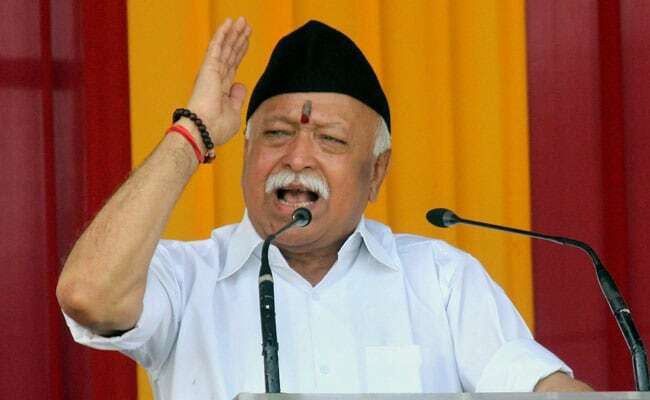 Agartala: Anybody living in India is a Hindu, RSS chief Mohan Bhagwat said today, asserting that the meaning of Hindutva is to unite all communities. Hindutva is different from Hinduism, he told a public function at the Swami Vivekananda Maidan in the heart of Tripura's capital. "The Muslims in India are also Hindus," the Rashtriya Swayamsevak Sangh (RSS) Sarsanghchalak said. Maintaining that India is a land of Hindus, he said "tortured" Hindus from across the world come to the country and get shelter. The RSS supremo said, "Hindus believe in truth, but the world respects strength. There is strength in organisation. Being organised is the natural law." Referring to the Partition, he said parts of India got separated in 1947, leading to the weakening of the spirit of Hindutva and a decline of the "Hindu Samaj". "India was united for so long. There was unity among the Hindus," Mr Bhagwat said. Highlighting the rich heritage of the country, he said, "A perturbed and confused world is looking at India for a new world order that can accommodate the materialist as well as the idealist." He urged the Hindus to get organised and trained at RSS "shakhas" (daily meetings), saying these were the only places where one could prepare for nation-building and self- development. The "sanatan dharma" wants to work together with everybody on board, Mr Bhagwat said. 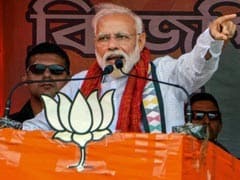 The Left Front-ruled Tripura is scheduled to go to polls early next year and the BJP is making a serious bid to increase its footprint in the north-east.